Two recent events packed party premises. 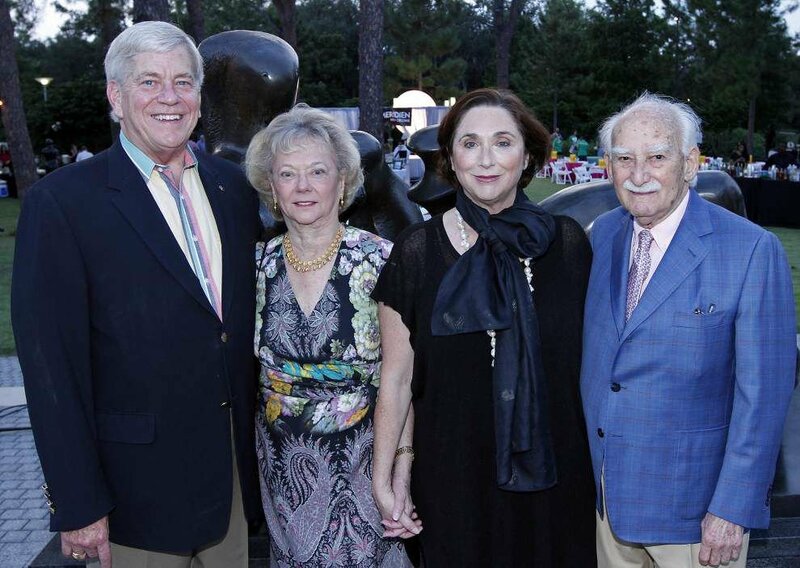 At the New Orleans Museum of Art, and in the Sydney and Walda Besthoff Sculpture Garden, the Regions-presented LOVE in the Garden honored New Orleans Center for Creative Arts artists Jennifer Odem, Brandan Odums, Mary Jane Parker, Ersy Schwartz and Michel Varisco. Elsewhere, Mardi Gras World was the site for the American Cancer Society’s 14th annual Belles & Beaux Ball, titled “Rock Your World,” at which 20 “Rock Gods and Goddesses” were the honorees. Both bashes, fun and fundraisers, occurred the same evening and had a few folks shuttling between the two. Prior to the main merriment, NOMA’s LOVE in the Garden, a patron party amassed a crowd at 7 p.m. Then came Garden Party an hour later, and at 9 p.m., the “Late-Night” party. According to your pocketbook, take your pick. Tariffs were different for all three. Then at 10 p.m., food trucks served the guests for the final chomps. In celebration of NOCCA’s 40th anniversary, the New Orleans Museum of Art honored the above Odem, Odums, Parker, Schwartz and Varisco, faculty and alumni. In the mid-1970s, NOMA provided classroom space to the nascent NOCCA as it launched its new arts-focused school. Today, NOCCA offers 11 arts training programs and an innovative academic curriculum. On the recent Friday evening, learning fused with levity. As for the entertainment, it was natural to book the NOCCA Jazz and Vocal Ensembles. Adding more spirit were The Yat Pack and Mario Abney & The Abney Effect. More than five dozen fine restaurants fed the LOVE-lies. For almost 10 years, the party has celebrated local visual and culinary artists. This year, the artistry of craft cocktails was toasted along with their makers. Participating bartenders included Tyler Chauvin, Nathan Dalton, Sonali Fernando, Abigail Deidre Gullo, Paul Gustings, Chris McMillian, Adrienne Miller, T. Cole Newton, Kimberly Patton-Bragg, Denise Spain, Daniel Victory, Ryan Yamada and Michael Yusko. They were put to creative use. The inaugural LOVE Cocktail Challenge featured them as they pursued the most creative interpretations of LOVE. Mastheading the “Garden” gallivanting were Chairwomen Charlene Baudier, Nancy Matulich and Lynda Warshauer, who got lively input from the Young Fellows Committee. Names in those ranks were Shelley Aucoin, Lauren Bombet, Ashley Bowman, Michelle Cardone, Lauren Del Rio, Lauren Ferrand, Colleen Gravley, Jessica Krinke, Dominique Meyer (Matulich’s daughter), Hattie Moll, Taylor Morgan, Mary Wyatt Milano, Margaret Villere, Erica Washington, Katherine Westerhold, Kim Milano White, Ashley Wolfe and Bryant York. The event committee counted scores. More VIPs included NOMA board President David Edwards, NOMA Volunteer Committee Chairwoman Glendy Forster and Montine McDaniel. The NOMA museum director, Susan Taylor, holds the chair named after Mrs. Freeman. They, in turn, mingled with Morris and Cathy Bart, Alvin and Penny Baumer, Robin Burgess, Donald and Bernice Daigle, Charles and Cammie Mayer, Kay McArdle, Mike and Brenda Moffitt, Bill and Dana Riviere, Geoffrey and Holly Sharp Snodgrass, Pam and Rob Steeg, Robert and Suzanne Thomas, Dawn Wheelahan, Steve and Melanee Usdin, Clifton and Elizabeth LeBlanc, Mandie Landry, Justin Shiels and from presenting sponsor Regions, Scott Howard. Since dates and anniversaries were to the fore, the party pack recalled the Pop Art sculpture made in 1970 by American artist Robert Indiana that has a representation in the Besthoff Garden. It features the letters LO over those of VE. At the bash, the lettering became the levity. At Mardi Gras World, for an evening billed as “Finish the Fight Against Cancer” and presented by the American Cancer Society, Nancy Parker and Mark Romig were the hosts. The doors opened at 7 p.m. for a performance by The 610 Stompers, and then at 8, the headlining honorees appeared. They were, as Rock Goddesses, Liz Cabrera, Dr. Michele Cooper, Janet Dellacroce, Patricia Denechaud, Jill D. Fitzpatrick, Holley Haag, Katie DeVries Kelly, Coral Maher, Evie Poitevent and Nerissa Wood. Their male counterparts, the Rock Gods, were Boysie Bollinger, Will Bryant, Michael Fontham, Erik Frank, Louis Grossman, Tom Hancock, Robert LeBlanc, Ryan Messina, Dr. William Robinson and Gary Solomon Jr.
Nicki Candies was the ball chairwoman and Dr. Kathleen “Kate” Sullivan the co-chairwoman. The committee chairmen and members ran the A-W gamut from Carla Adams to Kim Woolf. Features of “Rock Your World” were numerous and included offerings from more than 35 restaurants, an open bar, a silent auction of 100 choice items (including six different trips to the Caribbean), and in the “live” portion, Fund a Need for the Patrick F. Taylor Hope Lodge. Whereas the location, Mardi Gras World, is never needy of decoration, a team added a thematic tout. Rock ‘n’ Roll was the motif and got rendering in table decorations made from cassette tapes, as well as the large guitars designed for the stage by The Solomon Group. 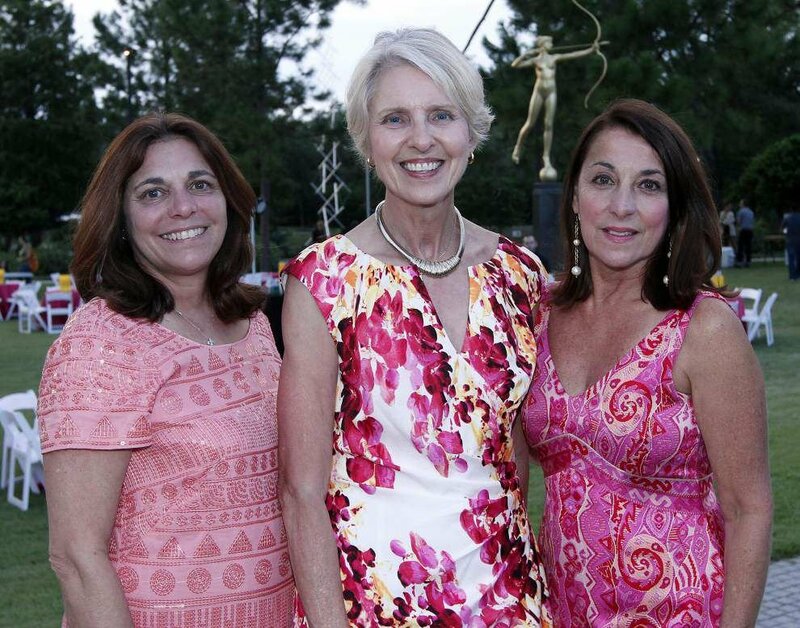 Within the “Rock” roster of 1,000 guests were Wendy and Brad Weissman, Jack Sutton, Judge Henry Sullivan, Mimi and Blaine Strawn, Julie and Neuville Hotstream, Charlotte Bollinger, Reid Stone, Allison Shapiro, Jeris Freesmeier, Donna Kay Berger and Lorrie Lee. KARMA New Orleans called many of them to the dance floor. Smiles abounded when the proceeds were made known. The bash raised $175,000, and folks were already asking about the 2015 date. In 2011, Virginia “Ginger” Borah Slaughter appeared at the Rex Ball in a stunning amethyst-hued gown. At that time, she was presented to their majesties as the 50-year queen of Carnival. Most recently, she donned a champagne-colored dress to exchange vows with Harry P. “Skip” Meislahn. The Sept. 20 nuptials took place in Albany, New York, in the First Presbyterian Church of Albany. Bride Ginger was escorted to the altar by her son, David Slaughter of Washington, D.C., and her brother, William E. “Bill” Borah. After the “I do’s,” the bride and groom took a motor trip through eastern Pennsylvania. Their next jaunt, still within a honeymoon framework, will be sailing in the Virgin Islands. Then the newlyweds will divide their time between their homes in Charlottesville, Virginia, and Albany.